Honey, you smell like a Viking. 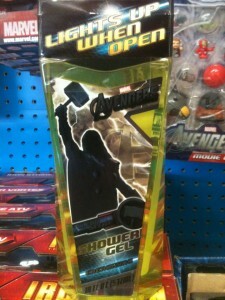 My new favorite tie-in product for The Avengers movie has to be the shower gel. It apparently lights up when you open it, which is great I always want my shower gear to have small electrical relays in there so they can activate right next to running water. 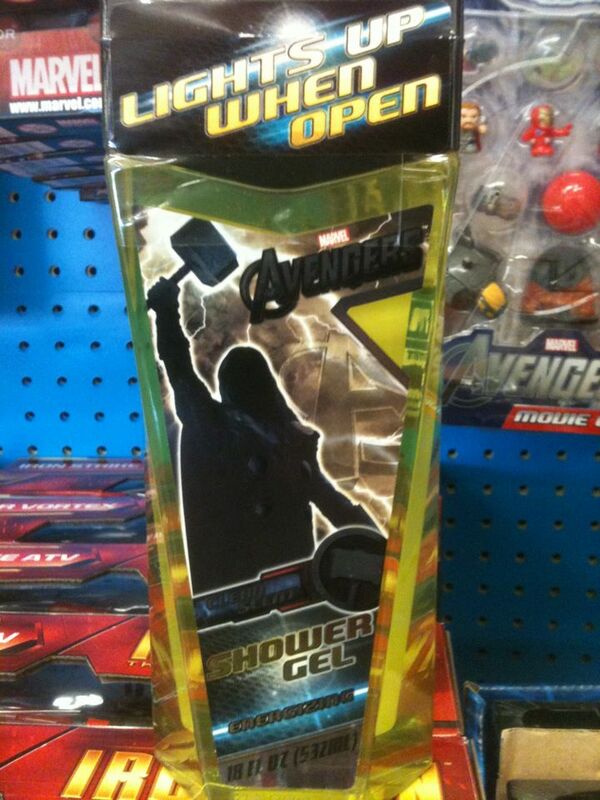 Avengers Shower Gel…for those of you ladies who want your man to smell like Thor. Caution: Will not cause abs. — Reid Kerr doubts the Norsemen really smelled like anything remotely resembling a shower. This entry was posted on Sunday, April 29th, 2012 at 12:11 am	and is filed under Musings. The entry is tagged under You can follow any responses to this entry through the RSS 2.0 feed. You can skip to the end and leave a response. Pinging is currently not allowed.